Newly promoted soloist Lawrence Rines in Mikko Nissinen's The Nutcracker. Liza Voll, Courtesy Boston Ballet. Boston Ballet announced some happy news this morning: seven dancers have been promoted! 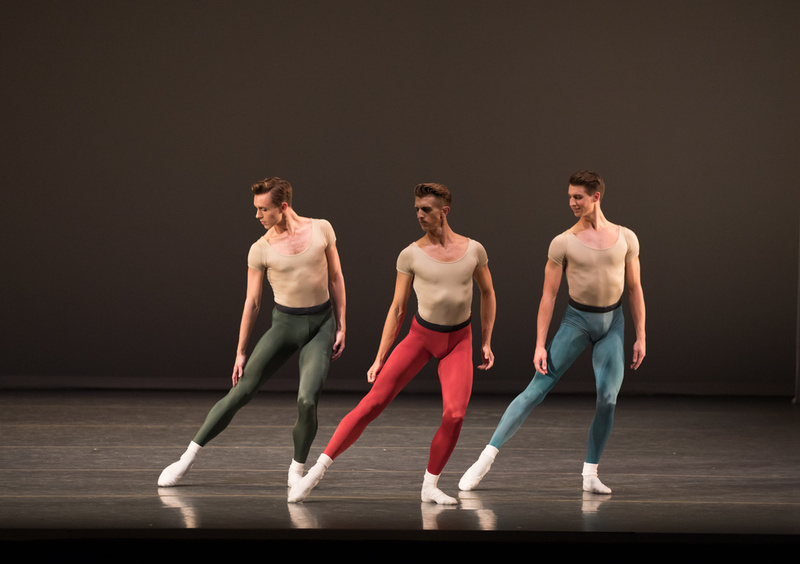 The company named three to soloist and four to demi-soloist for the 2019-20 season. "I am excited to see how they continue to grow as dancers in the upcoming season with its versatile and challenging repertoire," says artistic director Mikko Nissinen in a statement. So, who are these lucky dancers? Read on to find out. Chyrstyn Fentroy has been catching our eye since her early career as a leading dancer with Dance Theatre of Harlem. When she joined Boston Ballet's corps in 2017, she told us she wanted to expand her repertoire at a larger company and refine her technique. It hasn't taken her long to make an impression—Fentroy was promoted to demi-soloist this season and recently had a featured role in the world premiere of William Forsythe's Playlist (EP). Philadelphia-native Lawrence Rines trained at the Rock School for Dance Education and the School of American Ballet. He's spent his entire 10 year career at Boston Ballet, joining Boston Ballet II in 2009 and the main company in 2011. He was promoted to second soloist in 2017. We're excited to see his hard work and dedication to the company be recognized! Tall and leggy Addie Tapp has made a swift ascent at Boston Ballet, joining the corps straight out of the School of American Ballet in 2014. She only spent two years as an artist (during which she was named one of Pointe's 2016 "Stars of the Corps") before being promoted to demi-soloist. A twice-named Princess Grace Award nominee, Tapp seems to have a bright future ahead. You may recognize Maria Álvarez from Pointe's 2018 "Stars of the Corps" (what can we say—we know how to pick them!). Originally from Madrid, she joined Boston Ballet II in 2010 and the main company in 2012. Álvarez particularly excels in dramatic roles such as Romeo and Juliet's Lady Capulet and Madge from La Sylphide. In a 2017 Pointe story on setting smart dance goals, Dawn Atkins impressed us with her mature sense of perspective. To achieve one of her dreams—dancing in a William Forsythe ballet—she spent her free time studying his choreography and attended an Art Of workshop in Madrid to learn pieces of his repertoire and improvisation techniques. Atkins' prep work has paid off, not only in the company's recent Full On Forsythe program, but with her promotion to second soloist. Emily Entingh trained in Southern California and at the Kirov Academy of Ballet in Washington, DC. She danced with Houston Ballet II for two years before joining Boston Ballet's second company in 2012. She was promoted into Boston Ballet in 2014. This season she's danced featured roles in the company's Full on Forsythe program and most recently as one of Swanhilda's Friends in Coppélia. Matthew Slattery has spent his short career zig-zagging between hemispheres. Born and trained in Australia, Slattery moved to New York to study at the Joffrey Ballet School before joining Royal New Zealand Ballet under Ethan Stiefel. He then moved back to the U.S. to become a member of Boston Ballet in 2014 (whew!). With his recent promotion, it looks like he made the right move.